WILSON’S MILLS, NC – After well over a year of negotiations, planning, and waiting the time has finally come. Last week, ground broke on the entrance to the Wilson’s Mills Community Park and Johnston County Rugby Park. The park is a joint effort between the Town of Wilson’s Mills and the Clayton Rugby Football Club. When completed, the park will include a playground, bathroom facilities, pavilion area, parking, rugby fields, and multi-purpose field space. The joint effort is the first of it’s kind in North Carolina and one of few in the entire United States. The rugby portion of the facility will include one full international sized rugby pitch with permanent professional grade goal posts. Along with the Championship Pitch, the facility will also have two additional multi-purpose fields that are large enough to fit full size rugby fields. Those fields will have ground sleeves in place with removable goal posts. The multi-purpose fields will provide the flexibility needed to host youth rugby, other field sports, and provide additional recreational space to the community. 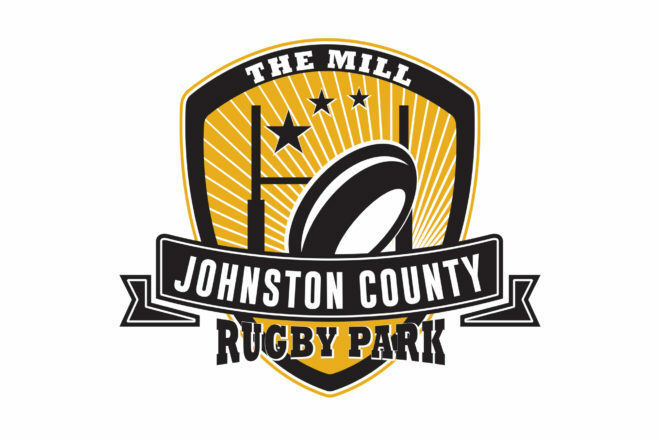 The Johnston County Rugby Park will provide much needed rugby space in an area where rugby is growing at an exponential rate. Through private donations, sponsors, fundraising, donated labor, and a generous grant from the Johnston County Visitor’s Bureau, the Clayton Rugby Football Club has raised approximately $350,000 towards the project. World Rugby Shop has also signed on as the corporate sponsor for the facility. The full project has been divided into three phases with Phase 1 of the project focused on the installation of the fields and parking lots. Future project phases include the construction of a covered grandstand at the Championship Pitch and a full service Clubhouse/Community Building. As the Clayton Rugby Football Club prepares to begin the grading process on Phase 1 of the project, the club enters into a final push for fundraising to push past their Phase 1 goal. The club has worked hard to secure the bulk of the funds needed to complete Phase 1 and are aiming to raise another $15,000 before the end of 2017. This push will complete fundraising on Phase 1 of the project and prime the pump for Phase 2. The Clayton RFC purposely chose not to reach out to the community, members, or fans until this point. The club’s Board of Directors aimed to prove that they could raise the bulk of the funds before reaching out to members and fans closest to the program. The goal was to save the group to push efforts over the top as opposed to having them kick start efforts and then have to wait well over a year before construction began. To help assist with the final Phase 1 push, the Clayton RFC has created a campaign through FundRazr. Anyone interested in donating to the cause can follow this link for further details. Donations of all sizes are accepted. The club has also set up incentive levels that come with special club gifts as a token of gratitude for your donations. Anyone is welcome to donate to the Johnston County Rugby Park. 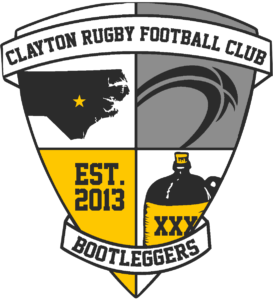 Whether you are a member of the Clayton RFC, a friend of the club, a citizen of Johnston County, a fan of rugby, or someone that believes in the power of building strong communities. The Clayton Rugby Football Club is a 501(c)3 non-profit public charity and all donations are tax deductible. Work is expected to continue on the Johnston County Rugby Park throughout this Fall with the goal of opening the facility sometime in 2018.